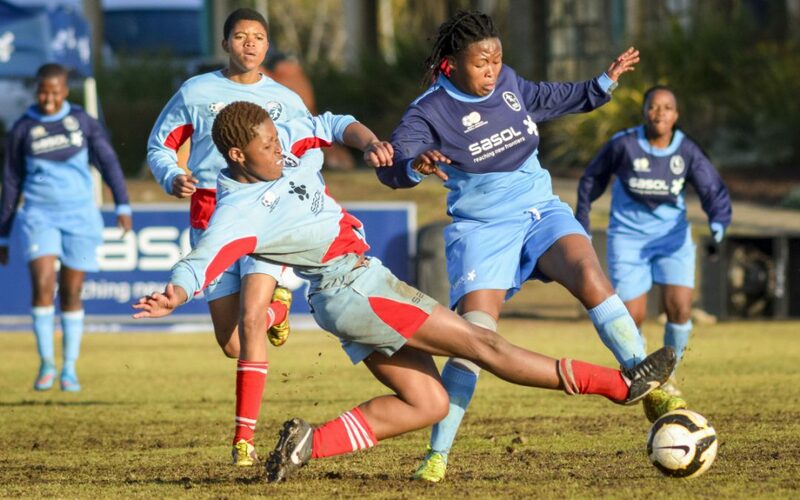 Sasol League festivities got underway in Limpopo this past weekend with the usual favourites starting on a high note. The action kicked off on Saturday, 8 April 2017 as reigning champions Kanatla Ladies opened their season with an emphatic 7-0 thumping over Botlokwa Ladies at the Polokwane Cricket Ground. Shayandima Morning Stars also laid down a marker for the campaign with a 4-1 victory over Modimolle Ladies at Nylstroom Hoerskool, while University of Limpopo claimed a 2-0 win over Seven Stars in Saturday’s other encounter. The Bulk of match day one’s action took place on Sunday, 9 April with all the matches kicking off at 13h00. Ma-Indies showed their class against Chippas Ladies FC with a 5-0 thrashing at home. Sisters Ladies got off to a winning start after registering a 3-1 win over Team Herman at Nwamitwa while Mphanama Ladies claimed a slim 1-0 win over Real Mighty Girls. Elsewhere, Moria Sweepers proved too strong for Re Tla Dira as they romped to a 6-1 win at the Moria Ground.